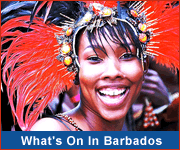 Barbados is a charming island of rich culture, tropical beauty, inspiring landscapes and fun ways to discover it all! Feel your spirits soar as you connect with nature, immerse in true local culture, and enjoy new experiences. Uncover endless possibilites for adventure, exploration, fun & discovery! At Mount Gay Visitor Centre, friendly guides take you through the fascinating history of Mount Gay Rum. The Flower Forest - 53.6 acres of beautiful paths, trees and flowers, with 7 acres of wild garden in the Barbados ‘Scotland District’ 750 ft above sea level! See the potters at work at Earthworks Pottery! Earthworks produces fully functional lines of dinnerware and serving pieces mainly, in over 150 shapes and 36 stock patterns. Experience new adventures as you explore the warm crystal-clear waters surrounding Barbados! Party with the pirates on the Jolly Roger while swimming and sailing on the calm waters along the beautiful west coast. Explore beautiful coral reefs and perhaps a mysterious shipwreck in air-conditioned comfort with Atlantis Submarines. Day or night, this unique underwater tour takes you on an incredible adventure down to 150ft! Hop aboard a rugged safari jeep or relax in an air-conditioned coach, either way Barbados is a beautiful island to tour! 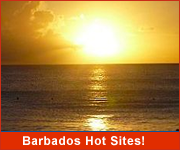 Join Scenic Barbados Tours for visits to the most intriguing and exciting sites on the island. Embark on a scenic tour around magnificent Barbados with Williams Tours. Marvel at our turquoise water, rugged landscapes, and historical landmarks. 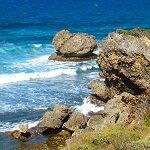 With Emmanuel Tours explore places like scenic Bathsheba, intriguing Harrison's Cave, and breathtaking coastal beaches. Although Barbados is a relatively small island, there is much to explore so you should consider renting a car during your stay. Venture Barbados day or night with Venture Car Rentals - offering prompt delivery, well maintained vehicles, 24 hour emergency help and competitive rates! A-Team Automobile Rentals makes car renting a breeze with its well maintained vehicles and exceptional service. Top Car Rentals - we'll ensure your car rental experience is as smooth as a Bajan rum punch! At Bajan Car Rentals we know that a satisfied customer is a happy customer. We offer a range of vehicles in excellent condition. Discounts also available on online bookings. Stoutes Car Rental offers impeccable service and delivery of a wide variety of vehicles at the airport, cruise terminal or any local address. Choose Chelsea Motors for reliable, efficient cars and service. Discover and enjoy Barbados in the comfort of your own rental vehicle from Drive-A-Matic Car Rentals, offering the largest fleet of rental cars, jeeps and vans island wide. For the lowest rental rates on the island contact Fat Jacks Rentals. There's so much to discover about this island - from the historic homes and buildings that tell the story of our past, to the underground wonder of our natural caves. You will see our natural beauty in the tropical flowers that bloom around you and the breathtaking landscapes and seascapes that abound. Your day can unfold however you wish... a sunrise stroll on the boardwalk, the adrenaline rush of an island adventure, chilling out on the beach enjoying island breezes with a tropical drink in hand or exploring local towns and villages to truly experience Bajan life. Enjoy fascinating history and delicious local eats with Lickrish Food Tours. Explore fascinating underground caverns, rushing streams and beautiful natural formations on a Harrison's Cave adventure! 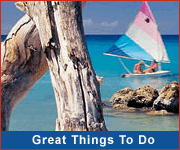 Take an island tour on a coach or bus! Rent a car to explore the island for yourself! Rent a motor scooter or bicycle for your personal island tour! Don't know what to choose? 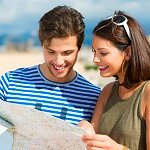 Let a Destination Management specialist help you out.